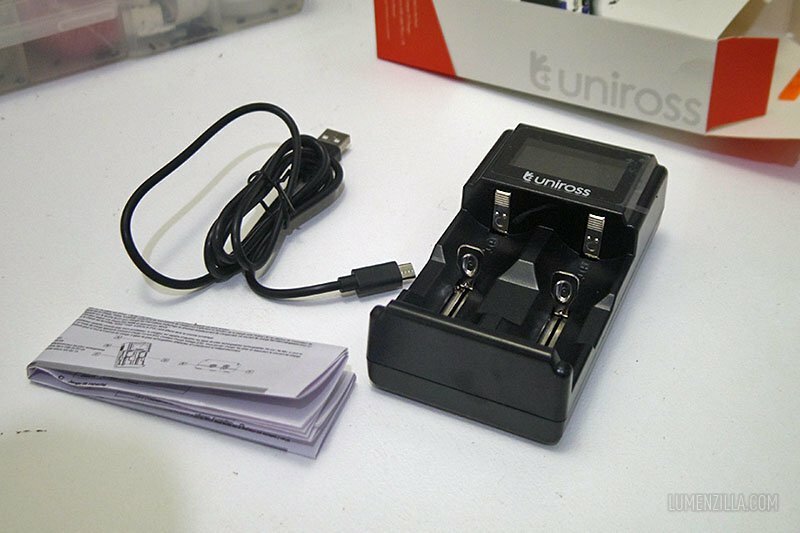 Uniross 3T is a smart compact charger from Uniross that can be used to charge various battery types and size. It can handle all the most popular types and sizes of Ni-MH/CD, Li-Ion, LiFePO4 batteries including 1 or 2 pcs of AA, AAA, C, SC, D, 26650, 26500, 22650, 18650, 18490, 18350, 17670, 17500, 16340/RCR123, 14500, 14430, 10440 etc. 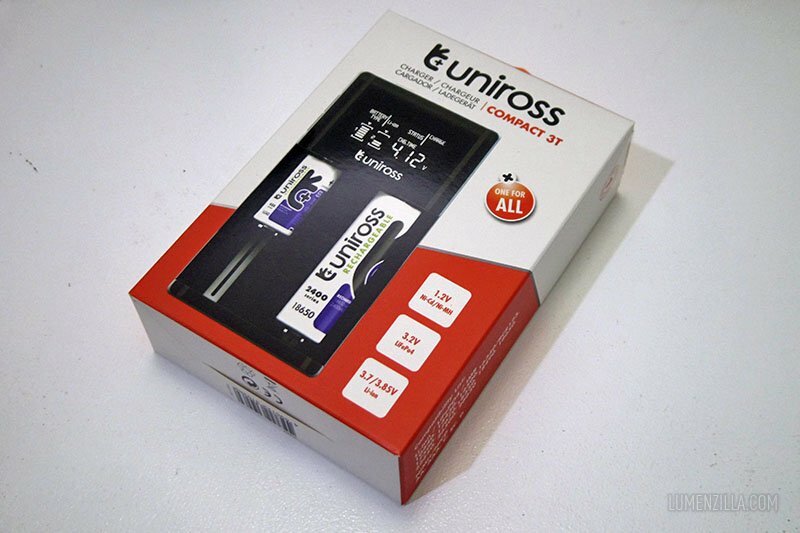 I received a free sample from Uniross some weeks ago and it came in a neat vibrant orange color cardboard box. It contains the charger, micro USB cable, and a manual book. 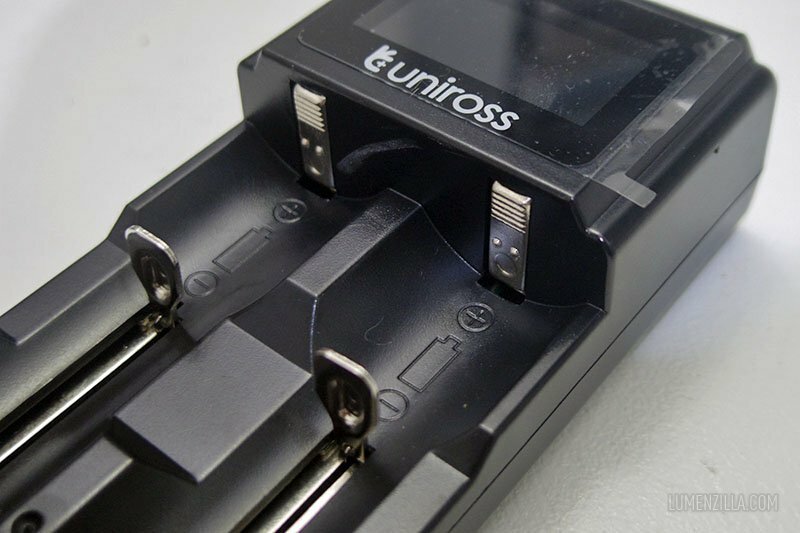 Uniross 3T is a compact battery charger and is powered by a 5V micro USB input, means you can use either your laptop or plug socket to add juice to your batteries wherever you are. 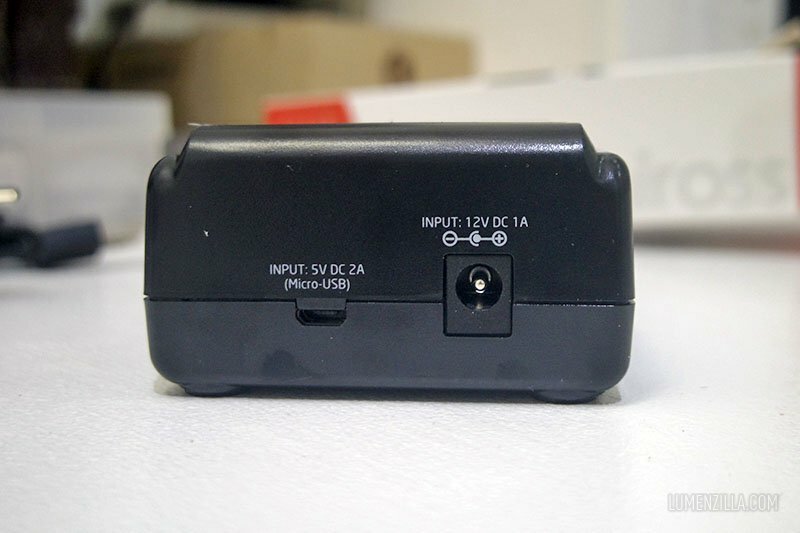 The charger also equipped with 12 volts input port but no cable or power adaptor is included. 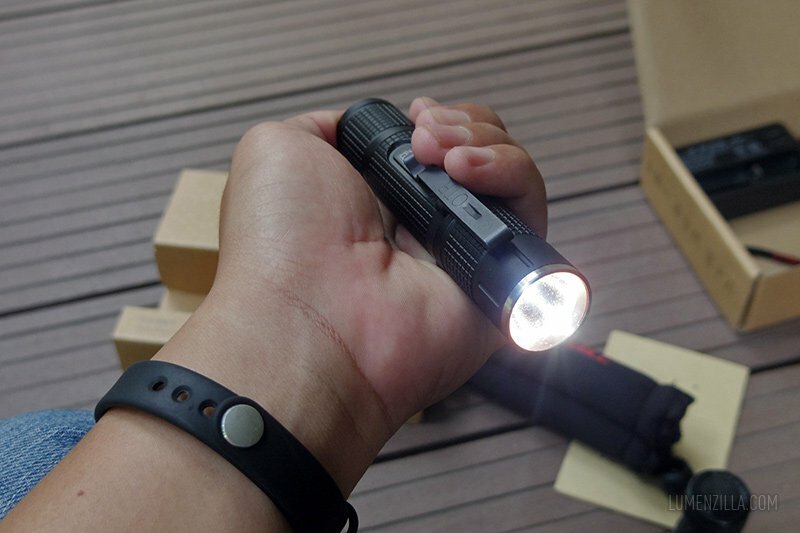 It has two charging slots that can be used independently. It means we can charge two batteries at a time even if the sizes are different. Polarity sign is displayed clearly on the charging slot and Uniross puts reverse polarity protection feature on this smart charger. Should we insert the battery in the wrong direction, an “ERROR” text will be displayed on its LCD screen. 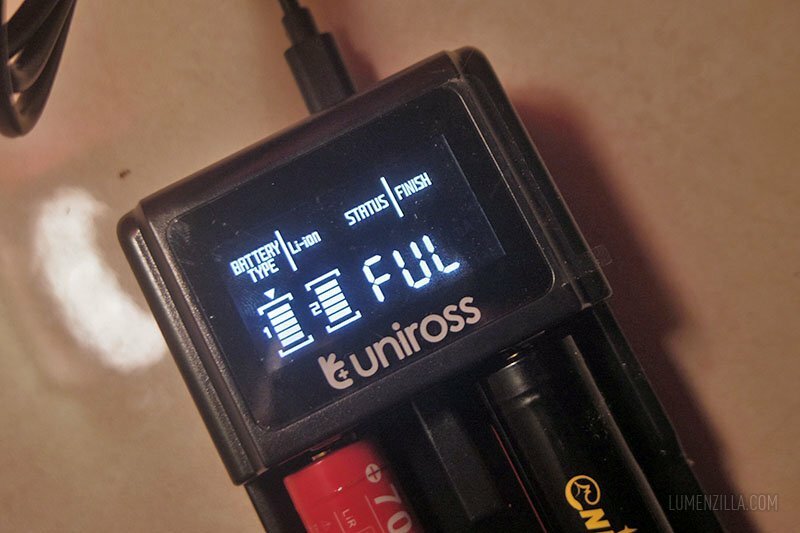 Small LCD screen on Uniross 3T is quite intuitive, it displays detected battery type, charging status, charging process, and technical numbers (charging time, current, voltage). 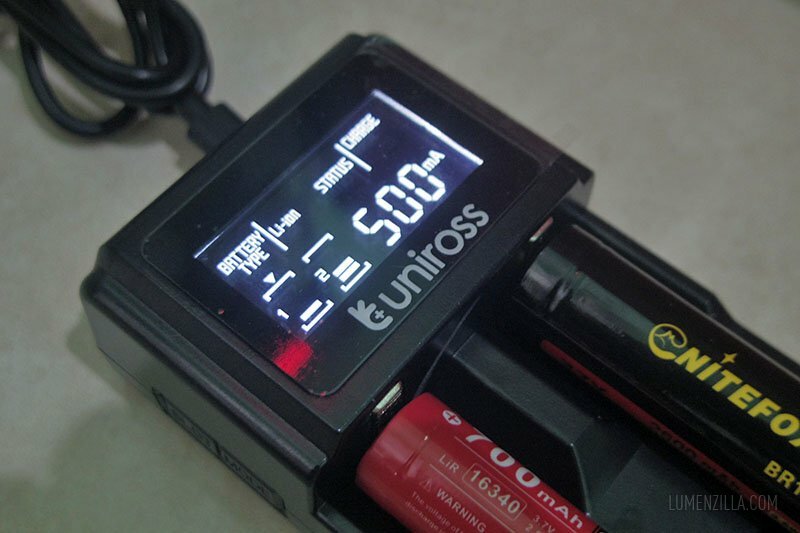 Because the screen is quite small, it can only display one detailed battery information at once. 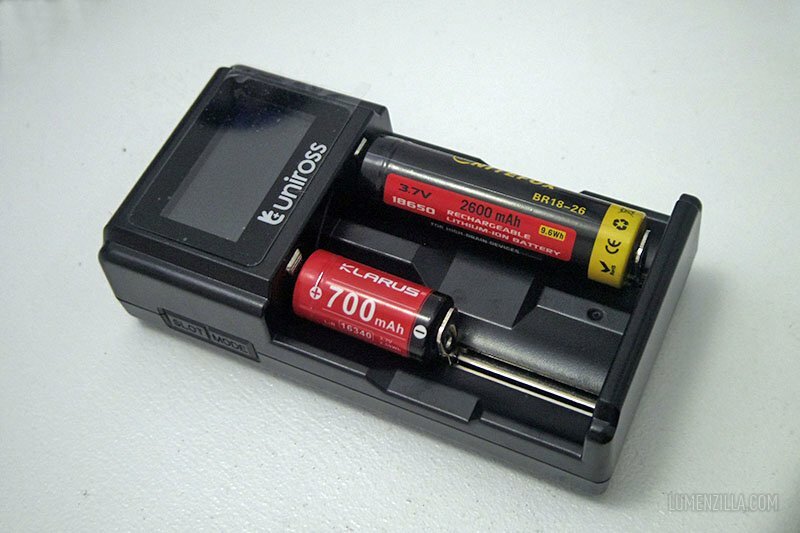 To display another battery information (when charging two batteries at once) we must press the “SLOT” button on its side part of the charger. Another button is a “MODE” button which is used to switch output current from 500 mAh (default charging current) to 1000 mAh (for Li-Ion and LiFePo4 only). The button also used to “activate” charging for LiFePo4 batteries by pressing both buttons (SLOTS & MODE) at same time. Please refer to their user manual for more operating information. The slider springs on the charging ports are strong but not pressing the battery too hard. 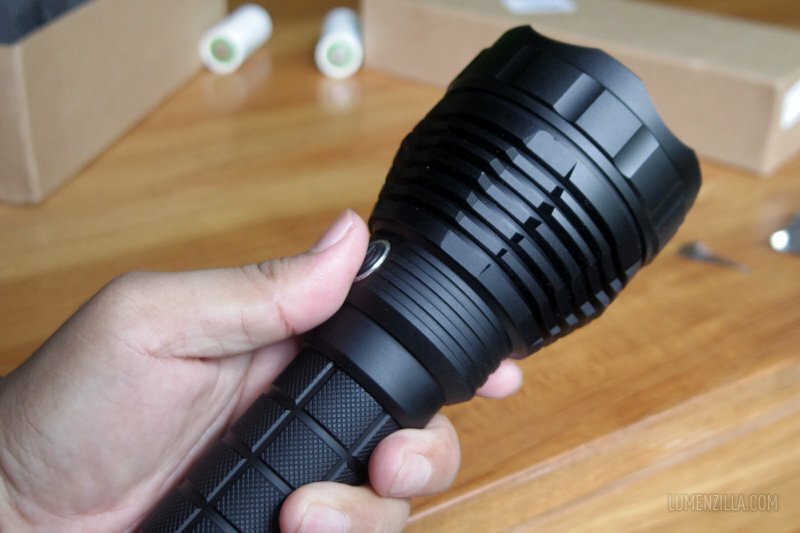 It can accept 16340 batteries as well as several 18650 brands I have. The ability to charge different battery size in the same time is a nice and a must have feature nowadays. I guess most battery chargers already have this feature too. 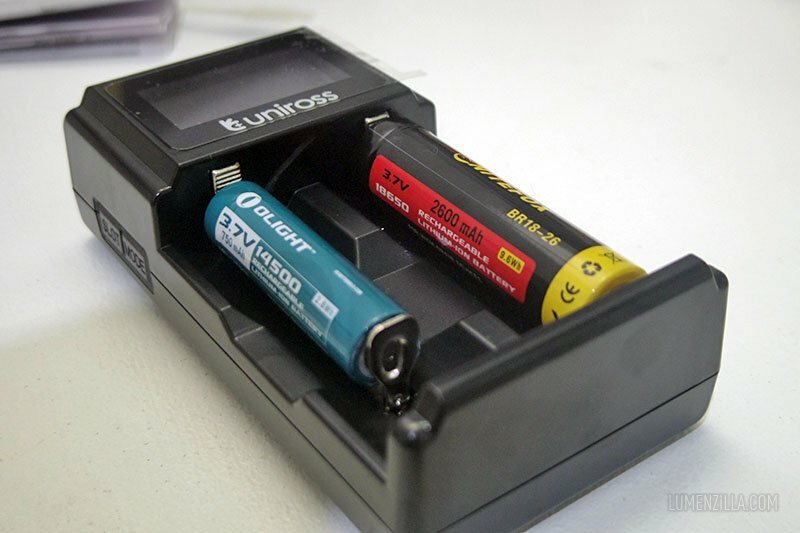 Eneloop batteries (not pictured) also fit nicely in the charging port. Charging time might vary depending on your battery type, capacity, as well as the power source. I tried using iPad Mini’s charger and it draws 800-1000 mAh. 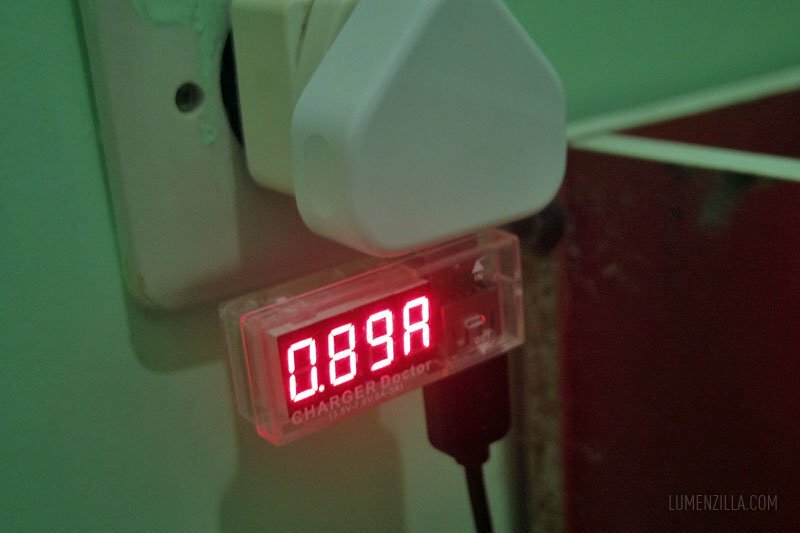 I’m not sure if my “Charger Doctor” is accurate, though. I’m planned to purchase decent multitester in the near future for better measurement. Default output current is 500 mAh, we can select 1000 mAh output by pressing the MODE button. The little triangle above the battery icon on screen is an indicator of which battery information is currently displayed. Press the SLOT button to see another battery information and it will be displayed on screen. When the charging is done, it will display a FUL message and a “finish” status. You can also see that the battery gauges are all full. 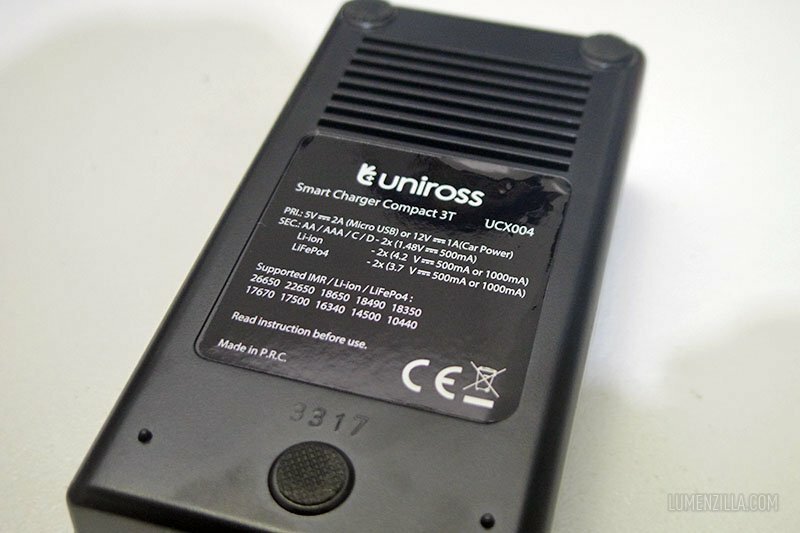 Uniross 3T compact smart charger is a nice charger to have. 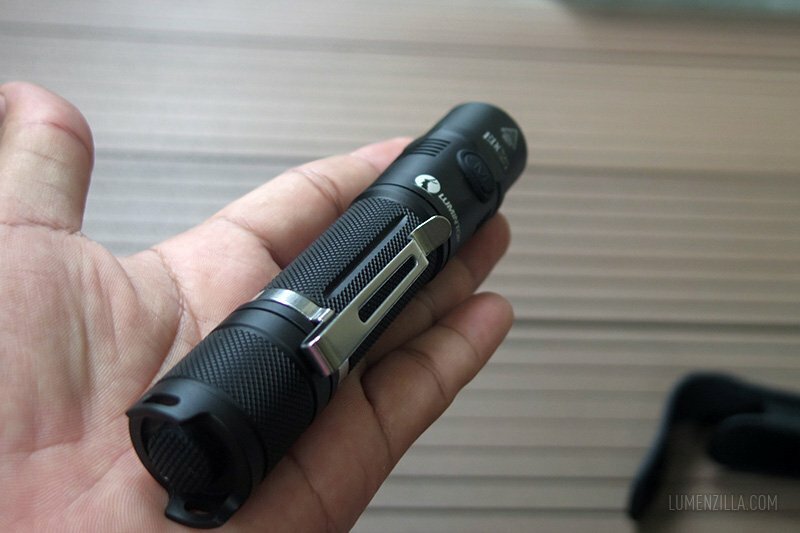 It supports Lithium Ion, NiMh, and LiFePo4 battery types. The charging slots will fit various battery size from 16340 to 26650, including D size batteries. The only thing I missed from this charger is the feature to bring back a “dead” battery after being over discharged. I tried to insert an over discharged battery and it shows an “ERROR” on the screen.